LNG Trade & Transport 2018 is the sixteenth edition of this report, providing a wealth of information about LNG unavailable from any other source. 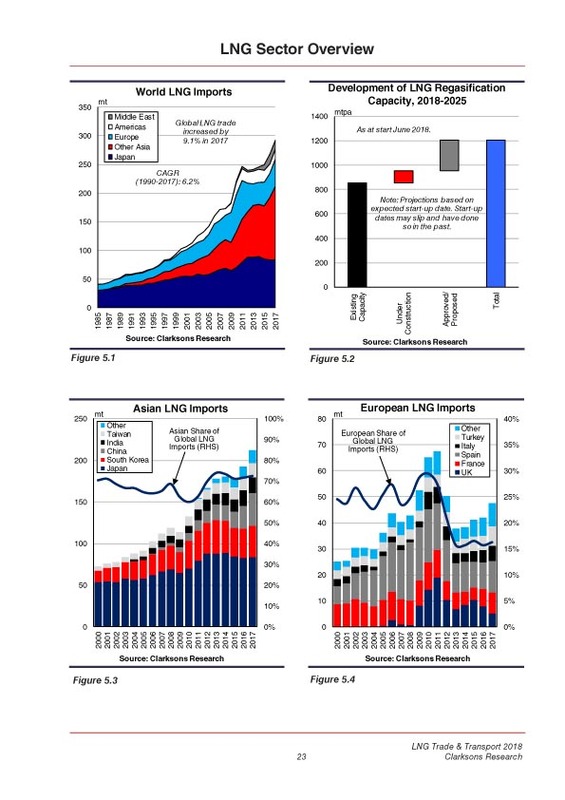 LNG Trade & Transport 2018 is the sixteenth edition of this report which contains in a unique, single document a wealth of information about LNG unavailable from any other source. 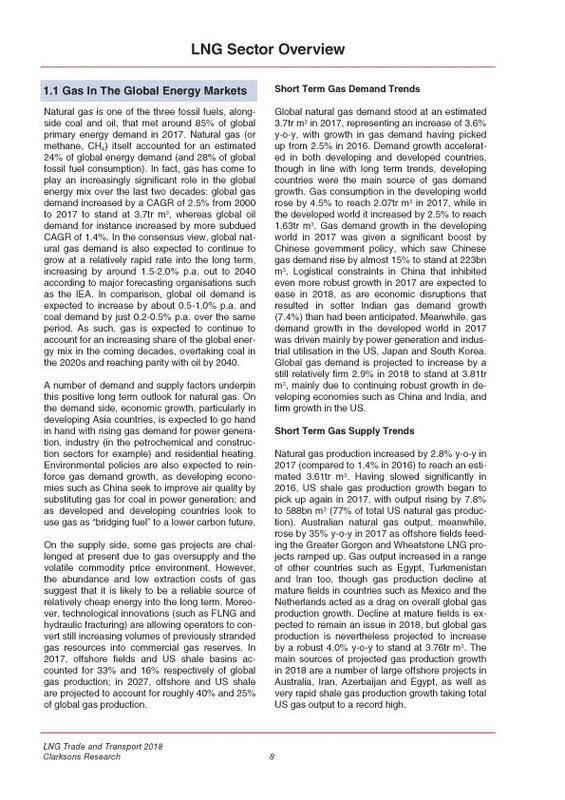 A review of the LNG trade, fleet and markets augmented with clear tables and graphs allows decision makers to become quickly familiar with the fundamentals of gas supply/demand, the past and likely future development of the LNG trade and the supply/demand and balance for LNG shipping capacity. trading data for each importing and exporting country on an aggregated and country-to-country route level. Future newbuilding requirement based on firm and speculative projects. 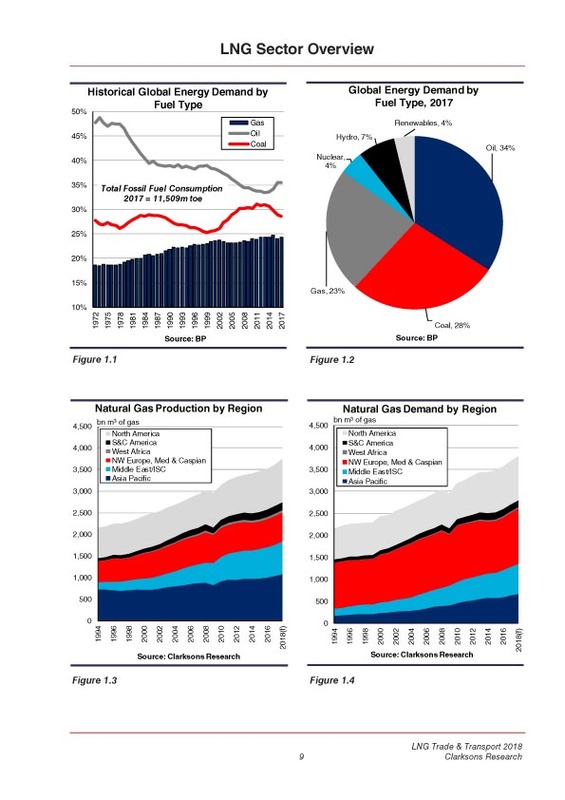 Ownership trends (independent ship owners/oil companies). Fleet investment of $60 billion since 2004; examined by buyer, project and size of ship. Classification Society and Flag State market shares and trends. Flag State market shares and trends. Analysis of LNG shipbuilding capacity; profiles of major LNG shipbuilders. 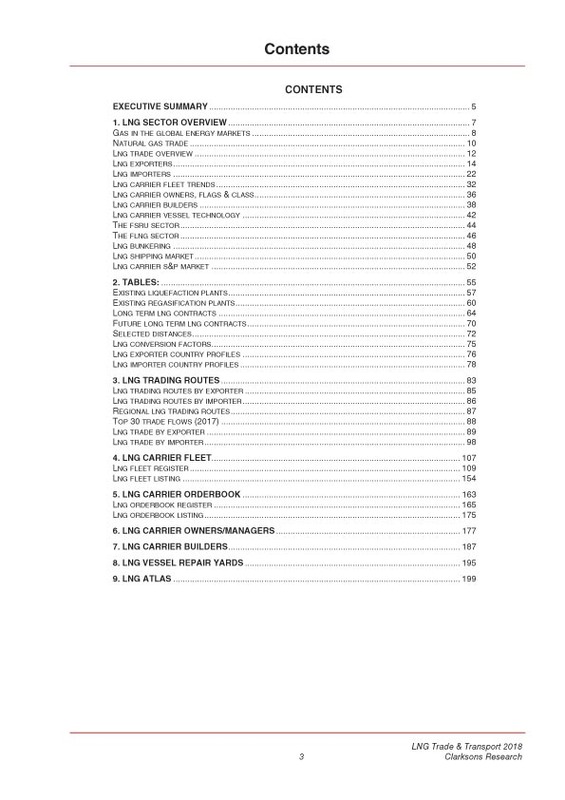 Trends in vessel technology, including vessel propulsion, containment systems, FSRUs, FLNG projects, and LNG bunkering. Atlas section, detailing current and future LNG infrastructure and natural gas pipelines. LNG Trade & Transport is also available on Shipping Intelligence Network.